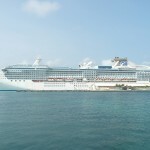 The 92,000-ton Coral Princess has already navigated Limon Bay and is now nudging along the man-made passageway through northern Panama that leads up to the first set of monstrous gates marking the three-stage ‘lift’ over the Continental Divide of the Americas. Our vessel’s sleek shape and dimensions are purpose-built for this particular journey but there is only 2ft to spare on either side and 17ft fore and aft as we edge into the first lock chamber. It is a monstrous mechanical operation, raising the ship in 28ft stages through these massive rectangular basins, one at a time, until our peripatetic home is sitting in the middle of Gatun Lake, one of the largest man-made bodies of water in the world when it was created back in 1908. The temperature is a humid 90°F and the sky a heavily overcast grey with the promise of showers at some stage in the day. Thankfully, it is the ‘dry’ season (there is no such thing as winter in the tropics) and the threatened precipitation is largely held at bay apart from a few sprinkles. Being outside, away from the air-conditioned inner sanctum, is the recipe for sweat to be rolling off your brow within minutes with merely the slightest exertion (say, climbing the handful of stairs to the Sun Deck for the best view). Yet back in the early part of the 20th century, 56,000 men toiled through the rainforests and swamps of the newly-created country of Panama without the benefit of electricity, let alone air-conditioning, to fashion this pathway between the seas, an engineering feat of unparalleled imagination and extraordinary execution. Among the steaming jungle, torrential downpours and stifling heat, with disease and sickness their constant companions, the Canal’s labour-intensive workforce alternately hacked, dredged, drilled, blasted and dug their way to one of the greatest achievements in modern history, a 50-mile passageway connecting the Caribbean Sea and the Atlantic Ocean with the Pacific. It saved shipping companies almost 8,000 miles and half the time involved with going all the way around South America. It cost almost 30,000 lives, as workers succumbed to the twin killers of malaria and yellow fever in huge numbers, while others died in the many accidents and mudslides that afflicted the huge excavation on an almost daily basis. 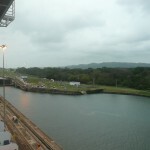 Today, it marks one of cruising’s great experiences, taking those original Gatun Locks up and ‘over’ Central America, traversing via the Lake and the infamous Culebra Cut (where the majority of workers were killed by the frequent landslides and dynamite mishaps) and descending through the Pedro Miguel and Miraflores Locks to the Pacific. 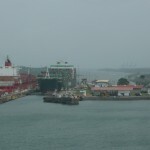 Handily, for those looking to do the round-trip version from Florida, the Gatun Lake provides a handy turnaround point, meaning ships can traverse the Gatun Locks, unload shore excursion passengers at the Lake, and then go back down again to the Panama port of Colon. 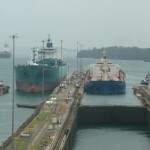 This still provides the essential Canal experience – in fact, it does more than that, as the chance to undergo the traverse in both directions at Gatun makes for a fascinating double-take – while also being part of a beguiling Caribbean itinerary with ports like Cartagena in Colombia and Limon, Costa Rica. 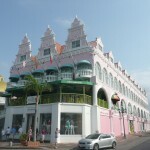 And, while the full journey from Florida to California (or vice versa) can include a tedious eight sea-days, or more than half the cruise, a voyage from Fort Lauderdale or Miami requires only 10 or 11 days and includes four sea-days – enough to get in sync with the rhythm of the ocean but not so much you long for a port of call. Our journey aboard Coral Princess was the perfect example of the partial transit version, setting sail from the efficient confines of Port Everglades, just a stone’s throw from Fort Lauderdale Airport, and affording just the right amount of tranquil sea-going. Two days without a sight of land, ensuring we had plenty of time to get comfortable with our ship and its range of facilities, was the ideal way to kick things off. Everything slows down on a sea-day and that minor frenzy to get meals out of the way in time for ship-organised excursions or other trips ashore is noticeably absent. You can decide at your leisure if you’d like lunch on deck, in the buffet-style Horizon Court, in the main dining room or in the new International Café, where fresh salads, sandwiches and pastries jostle with speciality teas and coffees. Mealtimes become the properly unhurried affairs they should be, while the space in between is far more relaxed and restful, a choice between various ship-going activities (lectures, games, films and sports) and the more indolent option of just sprawling out with a good book or watching the sea from a promenade deck lounger. The enclosed Lotus Pool area proved our perfect hang-out (along with The Sanctuary, a paid-for option but a true haven of tranquil solitude), despite the nagging lure of the Ice Cream Bar, and we happily passed much of the first two days here, gradually divesting ourselves of the stresses of the working routine. 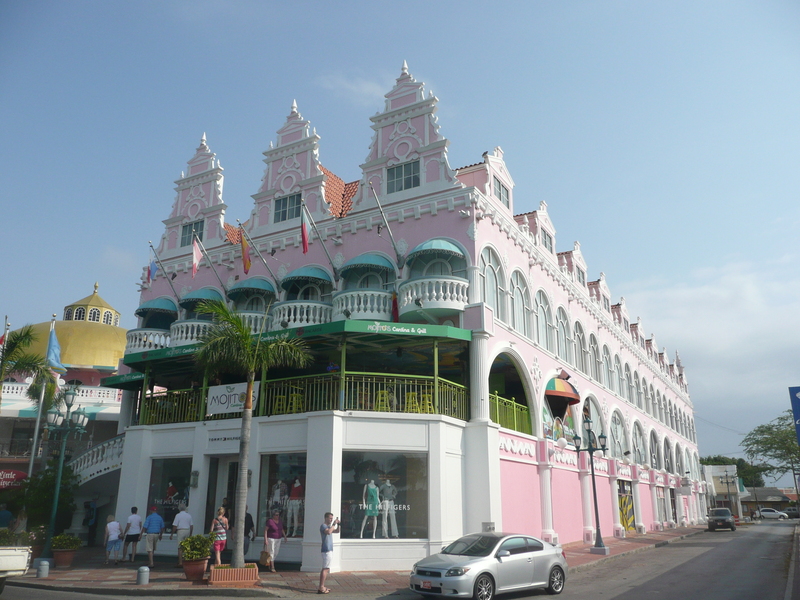 By the time we reached ARUBA, we were ready to take a casual stroll ashore and check out the pretty town of Oranjestad, with its variety of shops, bars and cafes – and plenty of iguanas strutting their stuff on the rocky shoreline. Back aboard, a choice of cappuccino in the International Café or afternoon tea in the Provence Dining Room was the only cause for concern as we set sail for the coast of South America and the port of CARTAGENA. Here, on an organised excursion, we were totally captivated by this city of Colonial Spain, where Sir Francis Drake paid a marauding visit in 1586 and subsequent piratical attacks led to the building of the massive Castillo San Felipe de Barajas, a colossal fortress that is still a major focal point (and tourist trap) to this day. Allied with a tour of the Old City, it made for a charming day out – although the locals of the 17th and 18th centuries probably wouldn’t have agreed, with this being the seat of one of the three Inquisition courts of the Americas from 1610 to 1811. Shipboard historian Chris Roberts gave a daily account of these – and other – misdeeds, and it added up to a truly compelling picture of Caribbean heritage. The next day saw us up eager and early for the Canal Experience, with Chris providing a steady narrative of the mechanics and history of what we were witnessing, as well as pointing out the occasional languid croc in the neighbouring waters. The technology of Teddy Roosevelt’s grand design for Central America remains utterly spell-binding as it is still essentially the same system as completed in 1914. A new, larger, set of locks are currently being constructed alongside, and will open in 2015, admitting larger ships through this narrow isthmus, but the 100-year-old construction is a complete vindicating triumph of the engineers of yesteryear. ITINERARIES: summer, 7-day Alaska cruises from Vancouver; autumn, winter and spring, Caribbean and Panama Canal cruises from Fort Lauderdale and Los Angeles. Sister ship Island Princess features similar routes. MORE INFO: in the UK, call 0845 075 0031; in the US, 1800 774 6237; or visit www.princess.com. Anyone heading for Panama should certainly take along a copy of David McCullough’s The Path Between The Seas (left, from which we shamelessly borrowed our headline). The eminent historian’s 700-page volume is a riveting piece of research, presented as history but reading like a novel. It details the full story of the Canal’s creation from the epic-but-doomed French attempts from 1881-1903 to the triumphant-but-costly US dig from 1904-14. The book includes the full international background and political intrigues of the day and builds into an essential companion to the cruise itself.